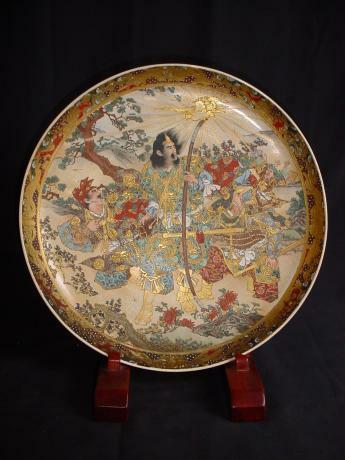 Early 19th Century large Imari charger. 22" diameter by 4" depth. Japanese 19th century NABESHIMA bamboo design dish. Bamboo plant beautifully painted in underglaze blue. Outer rim and outer side of foot also have designs in blue underglaze. The dish has the tall foot and sloping rim typical of NABESHIMA pieces. 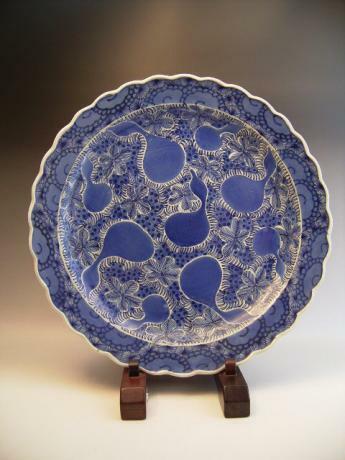 The plate measures 7 3/4" in diameter and 2 1/..
Japanese early 19th century blue an white gourd design charger. 16" diameter by 3" depth. 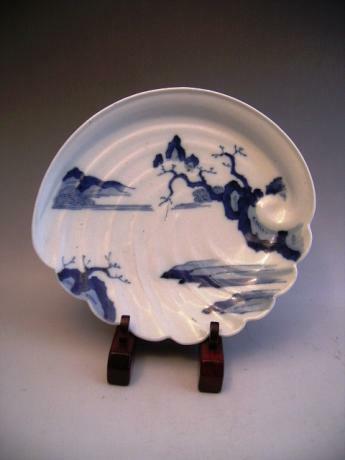 Japanese early 19th century blue and white HIRADO ware dish in the shape of an abalone shell. 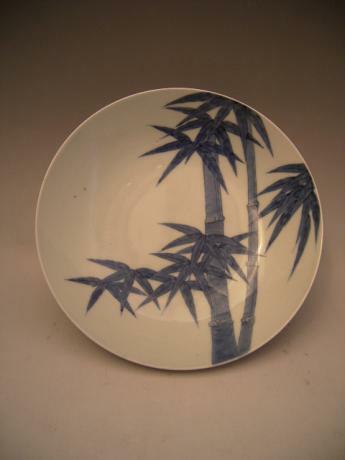 The dish has a landscape design painted in underglaze blue. On the back of the dish is the design of waves hitting against rocks painted in 3 areas. 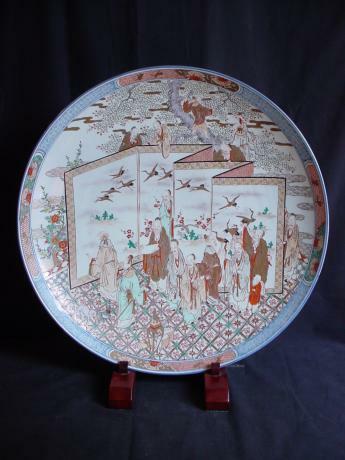 The dish measures 9" wide by 8 1/4" tall by 1 1/8" d..
MEIJI Period large SATSUMA charger. 16" diameter by 3.5" depth. 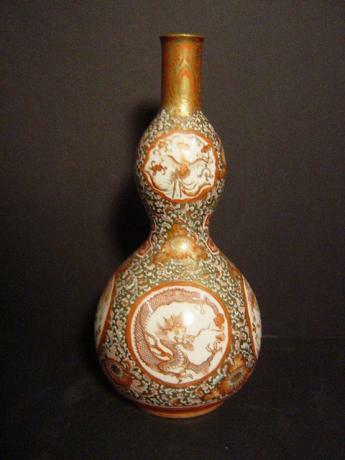 Japanese Meiji Period Red KUTANI vase in the shape of a gourd. Beautifully colored with polychrome enamel designs of dragons, lions and phoenix. Signed by artist, GYOKU SUI DO. 10" height by 4 1/2" diameter at bottom and 2 3/8" diameter near top. Japanese C. 1900 SUMIDAGAWA-ware large vase. 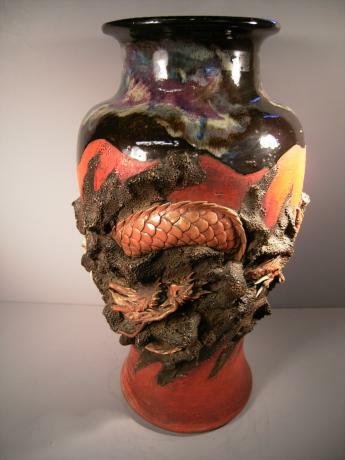 The vase has a large dragon wrapped around the vase. The dragon is done in fine detail and with great movement. The vase is signed by the artist, INOUE RYOSAI. 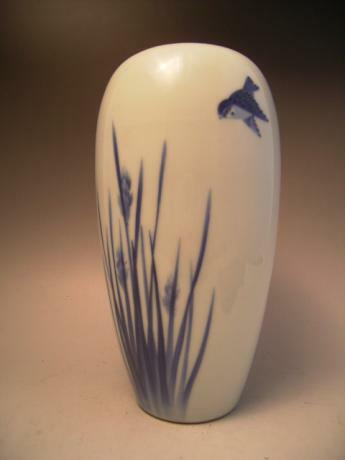 The large vase measures 18" tall, 9" wide and 7" diameter.